I went with Gracie's class on a field trip a few weeks ago to a local farm. There aren't many farms in the city (this one was actually at the fairgrounds) so it was quite fun watching the kids up close and personal with the animals. I love this pic of Gracie having a chat with a cow. Oh she had the best time! I added lots of bits and pieces and fun layers too! This is gorgeous! LOVING that photo and the colors!!!!! 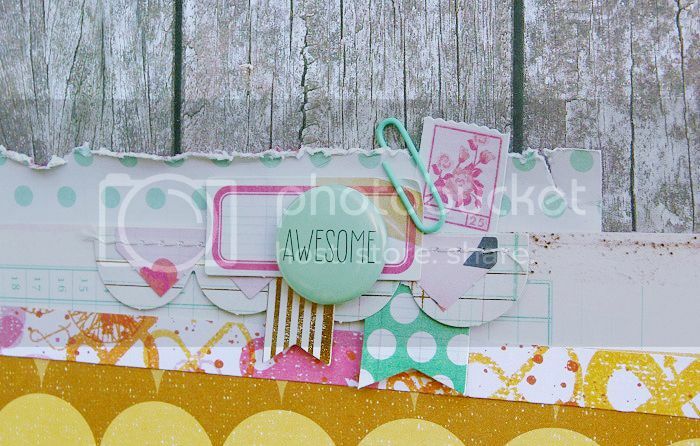 The weathered wood paper is the perfect background for that awesome photo. lovin this page! what a cute pic! LOVE it! I love the pretty colors, I LOVE that picture - wonderful job! Awesome photo! And of course I love the wood background for it. Fun! Wonderful page. Love the photo of your dd and the colors you choose. What an adorable photo! The background paper is perfect! Such a great photo Mary Ann! 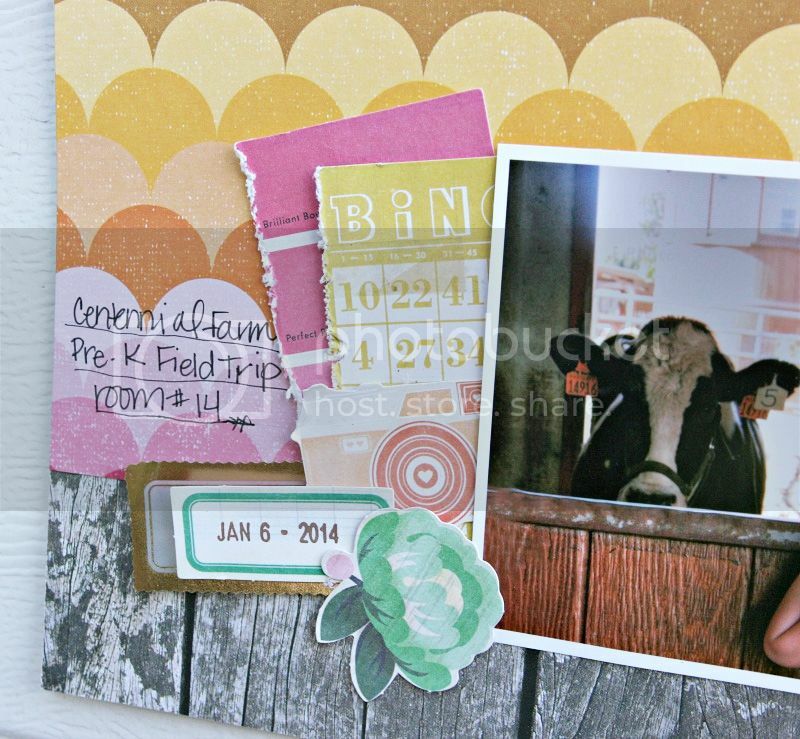 Love the wood grain paper for the background to go along with the farm theme and then the pops of color from the SC papers to give it a fun girly feel! Great paper combo! You always inspire me.